It’s an original Chrysler Sebring CD Radio. There only several functions in it. If you want to use navigation, TV or other great functions, you may need to upgrade it. 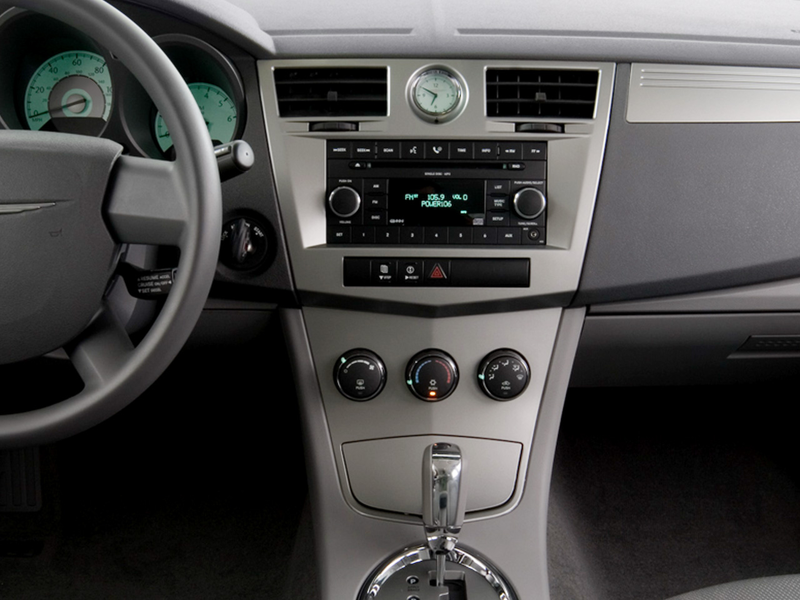 If you have the same dashboard as it, and you want to upgrade the head unit, the follow steps may help you in a way. Release the trim panel from the dashboard. The first step is to loosen the trim panel. Use a plastic lever to pry the gaps around the trim panel as the picture shows. And, it can be loosened easily. Then, remove the wires at the back of it and take if off the dashboard. Remove the original car stereo. You can see the stereo is fixed in the dash by 4 screws. Remove the screws so that you can take it out of the dash. There are wires at the back of the stereo, too. Disconnect the wires and remove the unit. Install the new unit. Connect the new unit to the original wiring harness as the installation instruction or wiring diagram from your dealer. The installation of different unit may be different. So, if you meet problems during installation, please ask your dealer or a professional for help. After installation, don’t forget to test the new unit. If all the functions work well, you have upgraded the new unit successfully. There are many things you should notice during upgrade. If you think the steps above are too complicated to you, you’d better ask someone for help. Wrong installation may bring damage to the new unit or even worse. And, when you meet problems during installation, you can check the wires connections first. If you cannot deal with the problems, please ask for help. The dealer can help in many cases. If you brought a new unit which doesn’t have after-sale service, you may need to ask professionals in local. This unit has touch screen and dual zone function. You can operate it by sliding your fingers on the screen freely. You can enjoy music while viewing navigation map, too. It supports IPod and IPhone music. It is compatible with iPod Class, iPod Nano, iPhone4, iphone4s etc. You can check playlists and singers on the unit as the same as in your IPod or IPhone. 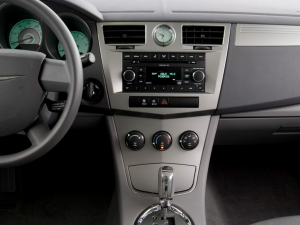 It also has GPS navigation system, DVD player, radio, Bluetooth and so on. It will bring fun and help to your journey. Please make sure it fits your car and add all the functions you want with it when ordering. Wish you enjoy shopping on Seicane.com.